I feel that I have chosen the perfect profession. I see my work as an art and science, which also allows me to spend time with people and getting to know each individual as a whole person, not just a dental patient. I take pride in treating my patients ethically with utmost dignity and respect, putting in the time and effort in listening to what they want and working together with them to achieve that goal. I like to treat my patients the way I would want to be treated: with compassion, gentleness, and respect. I understand that some patients stress about a trip to the dentist or may feel anxious and apprehensive about dental treatment, so I always spend time talking with them about their concerns and their dental treatment options. I strive to provide pain-free dentistry that makes each patient’s dental experience as comfortable as possible. Book with Dr Pal Today! Enhance your smile and experience optimal oral health. Book an appointment with Dr Cham Sujirapinyokul today! When she was a child, Dr Rani experienced a broken tooth as a result of a trauma. She also had braces. Both of those experiences left a positive impression that compelled me to embark on a career in dentistry. In 2005, Dr Rani earned her Bachelor in Dental Surgery from overseas. Additionally, in 2008 she obtained a postgraduate diploma in Public Health and Business Management at University of Western Sydney. She also stays up to date on the latest in dentistry by taking various courses. 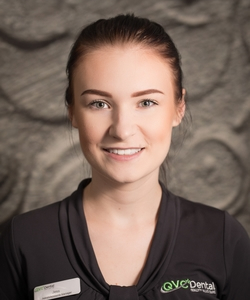 In the last few years, she has taken classes in Inman Aligner, ProTaper® Endodontics and Snap-On Smile® treatment and methods. 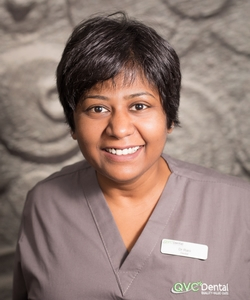 Because Dr Rani is passionate about helping patients achieve healthy, beautiful smiles, she considers all facets of dentistry. These include general oral hygiene, decay restoration, bite analysis, smile makeovers and orthodontic solutions to straighten teeth. Warm and compassionate, Dr Rani wants to help all of her patients feel completely comfortable. For those who are nervous about receiving dental care, she will provide patients with what she considers the ideal sedation options to meet their needs and allay any anxiety. These include intravenous sedation, oral anxiolysis or nitrous oxide. Outside the practice, Dr Rani enjoys reading, walking in nature and doing yoga. This former chess champion also enjoys playing the game with her husband. Schedule with Dr Rani Today! 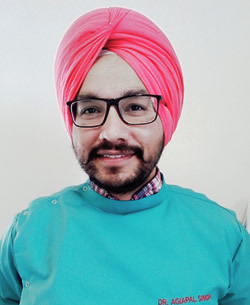 If you’d like to smile with confidence, schedule an appointment with Dr Rani Gopal today! Both of my parents were in the dental field and I always had an interest so after two and a half years as a Dental Nurse I graduated Curtin University with a Bachelor of Science in Oral Health Therapy. I continuously enhance my career with further education and study as I believe we can never have too much knowledge. I enjoy teaching people about their oral health, especially educating children on how to look after their mouths for the long term. Outside of the practice, I am a busy mum to two little girls. We enjoy family time and taking our dog Bruce for long walks. I also like reading and watching TV. I’m the Dental Prosthetist at QVC. I have 28 years experience in the industry. I provide a caring, friendly service and natural looking dentures. I take pride in providing personalised care to each client, making and fitting every denture myself. 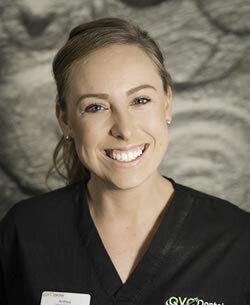 One of the most rewarding parts of my job is working with a patient to create their own customised beautiful smile. A successful denture changes people’s lives and can help return their quality of life. I enjoy meeting and helping people and value continued learning, always striving to deliver the best service and treatment. From Dental Assistant to Front Office Coordinator to Manager to Consultant to Director! I have been involved in more than 500 dental practices, both here and in the UK. 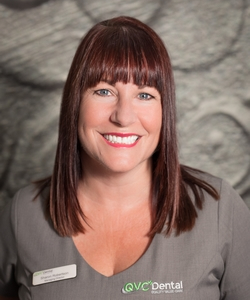 I’ve picked out the very best bits from my 29 year career in managing practices to bring to you here at QVC Dental Port Kennedy. QVC Dental has been a dream of mine for many years, I wanted to create a practice which totally focuses on patient care and comfort. I want every patient to have a positive experience and a happy, confident smile. When I’m not at the practice I love nothing more than spending time with my friends and family, including my two beautiful granddaughters. For nearly 20 years I have fulfilled many roles within the dental industry, I have even worked within the prison dental system! But the last few years I have worked with Sharon and I jumped at the chance to be a part of QVC Dental Port Kennedy. QVC truly stands for Quality, Value and Care. When patients leave at the end of their appointments it’s so rewarding for me to see them smile and know that our team at QVC made a difference. When I’m not working I like to travel and spend time with family and friends. I also enjoy reading dental journals and time spent with our family pets, Billy the lamb, and my dogs Ruby and Thunder. 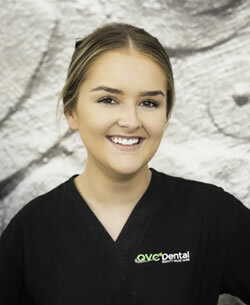 I am currently studying at Murdoch University, as well as working here at QVC Dental Port Kennedy as a Dental Assistant and Sterilisation Nurse. I enjoy working within this friendly team and meeting new people. I’m a people person and love to see you smile. I love organising and supporting everyone to help ensure a smooth running practice and happy patients. When I’m not working or studying, I love shopping, music and dogs. 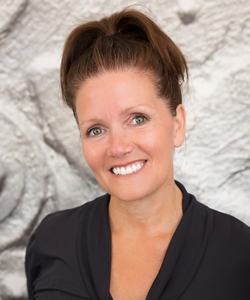 Starting my dental career in 1985 as a dental assistant in the Mandurah area, I have worked with some amazing dental teams and dental consultants where I have gained valuable experience in both office management and Treatment Co-ordinating. 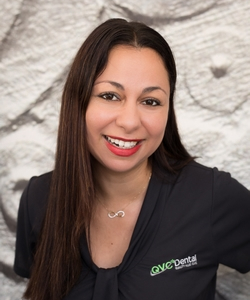 I am excited to be a part of the QVC Dental team and continue in the dental profession of which I am passionate about. Having moved to Canada in 2003, I am now a dual citizen and have brought my Canadian husband home to the Mandurah area to enjoy the aussie lifestyle and warm weather. From a young age I have always found myself drawn towards the dental industry, not only did the subject interest me but also the positive effect I can have on patients that are hesitant to see a dentist. 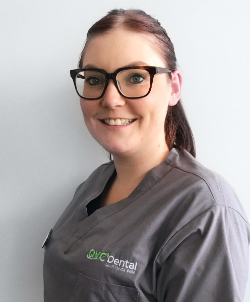 I received my cert IV in Dental Assisting in 2005 from Dental Nursing Australia and continue to keep myself updated in the latest Infection Control Standards to help maintain the safest environment for our patients. I am a very family orientated person and mostly keep to myself with my husband and son, but I do like to give back to society and help when possible. My husband and I give regular donations to Lifeline which assists people suffering from depression an ability to talk to a qualified councillor. I also assist with my son in cleaning up beaches and parklands due to my love of Australian flora and fauna. I have recently been bitten by the travel bug and plan on traveling to Japan soon. After my trip to Japan I also want to travel to Antarctica via a cruise with my husband. 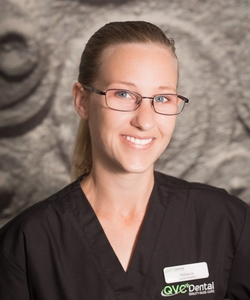 I began dental assisting in 2008 down south in my home town of Albany. I quickly realised this was the career path for me. I am very passionate about what I do and am thrilled to be a part of the team at QVC Port Kennedy! I plan to commence my Cert 4 in Dental Assisting to further add to my education and skills. When I am not in the practice, I am a wife and the mother of a beautiful & energetic little boy. We love spending time together outdoors and love going to the Rockingham foreshore. I recently graduated a Cert IV in Dental Assisting in 2017. Although I am new to the dentistry world, health care and helping people has always been my interest. Throughout my course I did work placement in many practices where I found that there is such a stigma around going to the dentist, patients would be anxious before they stepped foot in the door. During my placement at QVC I found so many patients would come in nervous and uneasy yet leave with a huge smile on their face, whether it was the staff that welcome anyone with open arms and a huge smile or the calming music and the amazing interior to make the whole experience less “clinical”. I’m proud to say I’m part of this team and it makes me proud to see we’re making a difference for people. In my free time I love to cook and bake or redecorate my room, but most importantly I love to spend as much free time as I have with my puppy Lyla! I have recently got back into the workforce after being a stay at home mum to 3 children for 10 years. I have always loved going to the dentist and decided to change my career and become a dental assistant. I started my Cert IV at Dental Nursing Australia in July 2017 and I love every minute of my work and learning. I enjoy meeting new people and love seeing happy patients. When I am not at work I enjoy spending time with my children and watching movies together as well as listening to relaxing music.